Lloth is a Greek Black metal band created by Tristessa of Astarte (RIP) back in 1995. In the memory of Tristessa, Nicolas, her husband, continues this band, and soon they will enter the studio to record a first album. Here is an interview with Nicolas who had time to answer me a few questions about Lloth. Hi Nicolas, how are you? I am trying to do my best ,now things are difficult in Greece with the political situation. Tell me when Lloth was founded. Lloth is a Hellenic Black/Death band, Tristessa was the founder of Lloth in 1995 and after of Astarte.The band have one mini LP with the name ‘’Dancing In The Dark Lakes Of Evil (1997). 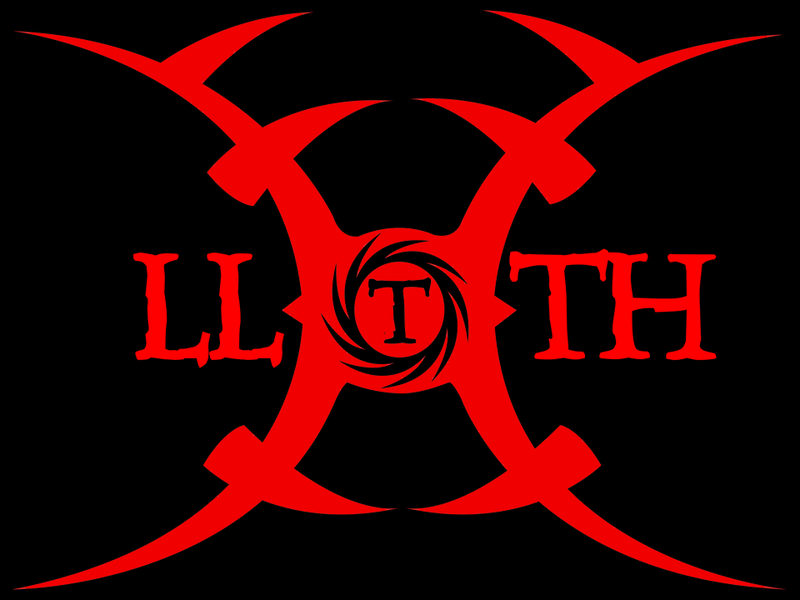 After the rename of Lloth into Astarte ,Lloth made some new members made (2003-2005),we were supporting Rotting Christ and then we had a break for a long period. Lloth was back again in the summer of 2013 and then we were preparing for a new record into Black/Death style. Due to Tristessa’s illness everything stopped. We will honour her still, we will continue the legacy of Tristessa in her memory. The current line up is I as vocals, Vaelor-guitars, Setesh-lead guitar, Jan Westermann –drums and Acheron is our new bass player. In 1997 thIere exists a demo and this year you released a single entitled ”I (Dead Inside)”. Tell me about both the demo and single. The mini LP of Lloth under the name ‘’Dancing in the Dark Lakes of Evil’’ have 8 tracks and the length is about 30 minutes and it is written in 1996 and released in 1997 .The sound is close to the first Astarte album ‘’Doomed Dark Years’’. 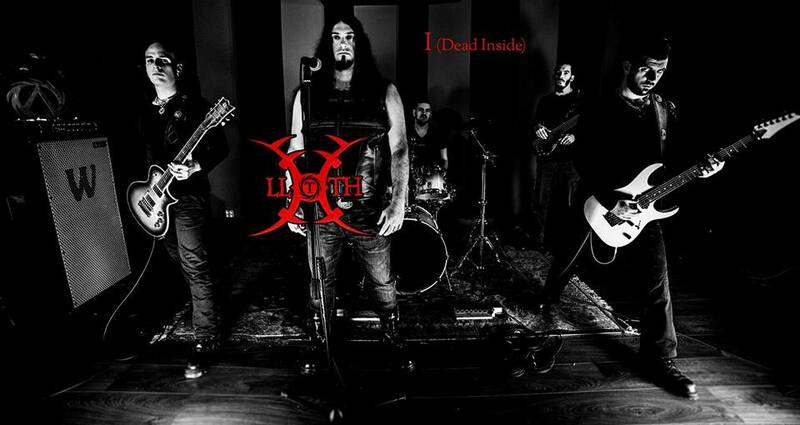 In the Lloth new era now we have released 2 singles ,digital both, “I (Dead Inside)’’ and ‘’Athanati’’ and both tracks have videoclip that you can find on our page.Lloth. The new tracks are more emotional but still aggressive and especially the lyrics. Are you preparing for a new album soon? We have planned to enter in studio during the summer to record the album ,it will have 9-10 tracks and some of the song titles are Athanati,I (Dead Inside),Alles Black,Archos,Emptyness and Hell (Is a Place on Earth). For me 90’s are my main influence but with more modern sound, I like the good production in music but is a matter of taste in that. The lyrics are more about the feelings and the emotions that I have for the loss of Maria.There is a song dedicated to my son Archos and 1-2 with some more general concept about life and one with more pagan theme. We only appeared at this year’s Astarte Fest with 12 more bands to honour Maria ,it was very emotional and all the bands gave their best performance .The money from the Astarte Fest tickets we donate the amount to a not profit organization that helps children. We will make live shows after the recording of our new album for sure to promote it. Be always yourself,heavy metal is our way of life! Thank you and all the best Nicolas! Thank you for the interview Carla!